FBI Director James Comey announced emails were just uncovered relating to the FBI probe of Clinton’s use of a private email server while she was secretary of state. 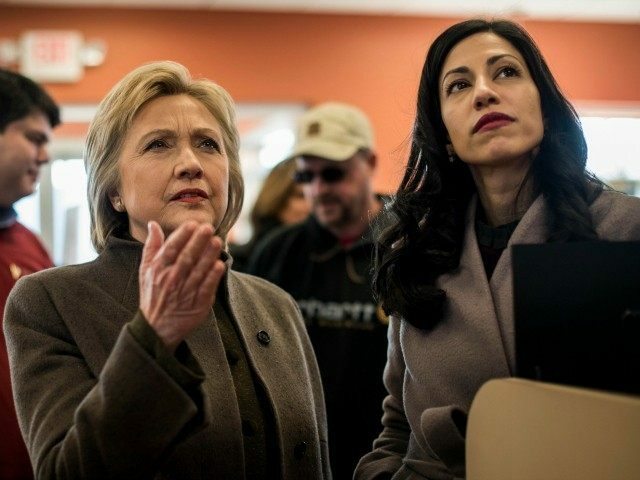 The Department of Justice was just granted permission to begin searching the computer containing newly-discovered emails of Hillary Clinton aide, Huma Abedin. This warrant will allow the DOJ to go through recently discovered emails that may be related to the previously closed investigation of Clinton’s handling of classified information. This laptop had previously been used by both Abedin and her ex-husband, former Rep. Anthony Weiner, D-N.Y. The laptop was recently under investigation regarding allegations of Weiner sexting with an underage girl. During this investigation, officials stumbled upon Abedin emails regarding Hillary Clinton. FBI Director James Comey announced emails were just uncovered relating to the FBI probe of Clinton’s use of a private email server while she was secretary of state. “In connection with an unrelated case, the FBI has learned of the existence of emails that appear to be pertinent to the investigation,” Comey wrote in a letter released Friday. Next articleAfrica and the Paris Agreement: Which Way Forward?